The E. Craig Wall Jr. 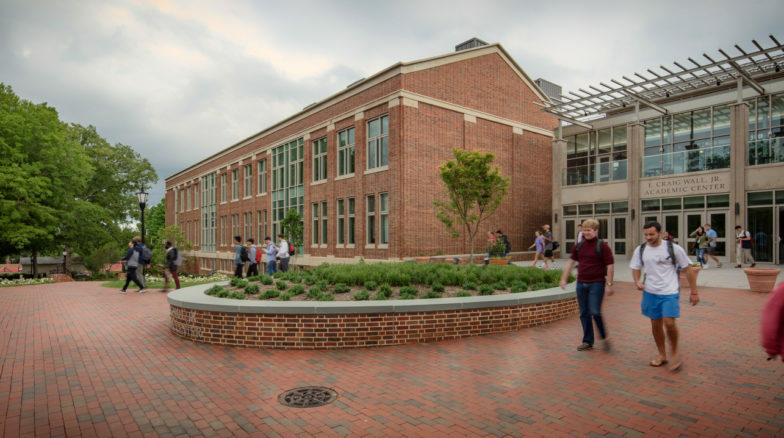 Academic Center, a $74 million, 149,000 square foot LEED Silver certified project will enhance transdisciplinary activity, enable innovative forms of learning, and provide a premier, collaborative space for multiple departments. 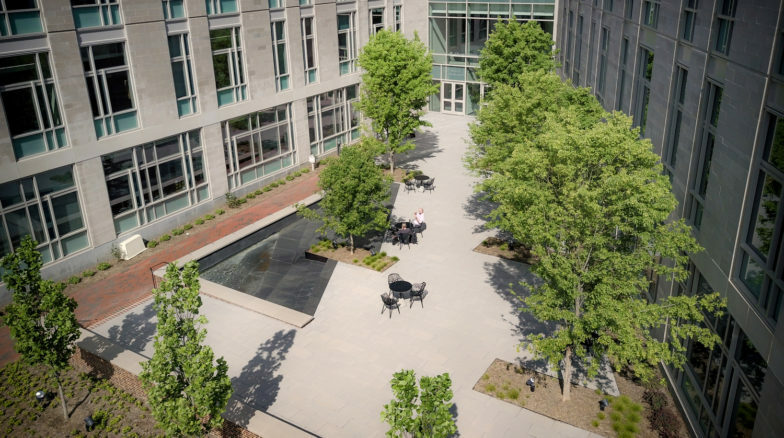 The building provides space for chemistry, biology, psychology, neuroscience and environmental studies as well as gathering spaces for the arts, lectures, and community building. 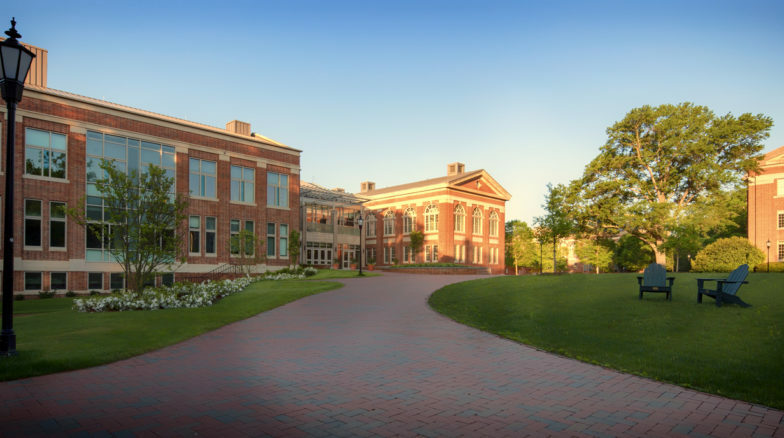 In 2012 a campus plan for Davidson was set into motion: a strategic, comprehensive effort involving the construction and renovation of six academic buildings over 10 years. 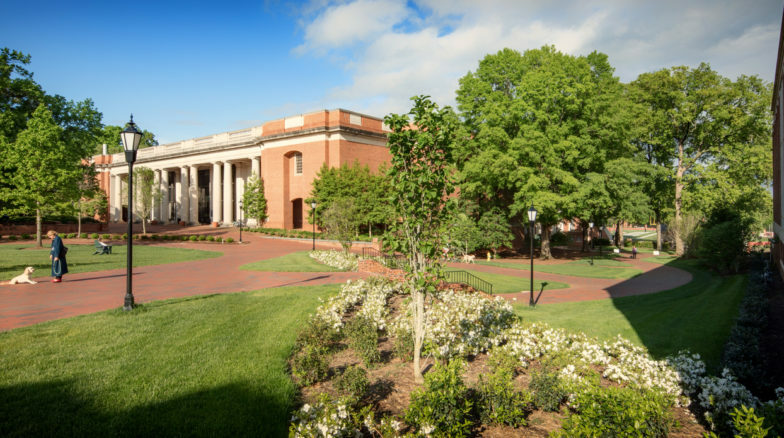 The defining vision of this plan, called the Academic Neighborhood, intends to make Davidson’s campus a physical expression of the multidisciplinary approach to understanding and problem-solving. The E. Craig Wall Jr. 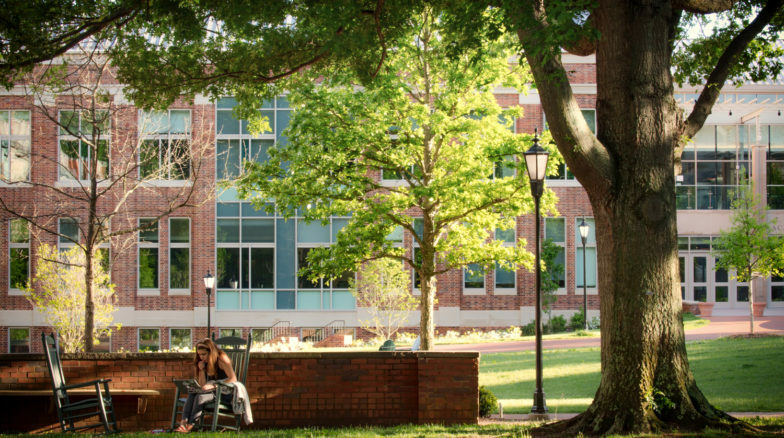 Academic Center is the first component of the plan. 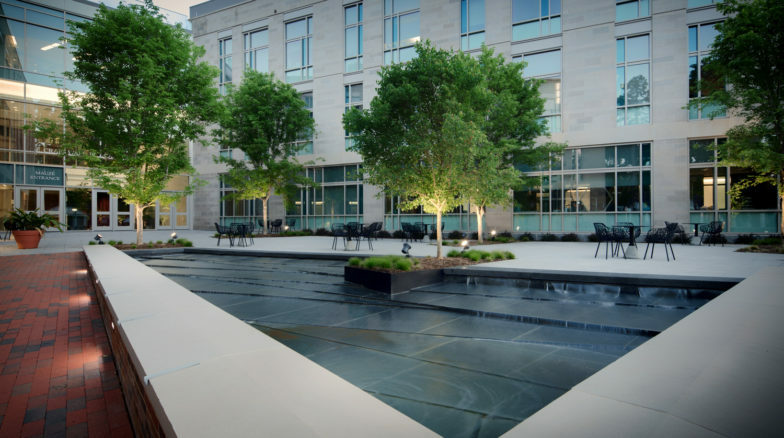 Surface 678 provided landscape architecture design to enhance connectivity with the nearby buildings, enhancing patterns of students frequenting the Chambers Building, EH Little Library, and Sloan Music Center.